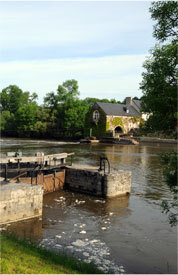 The tour is free of charge with a brochure available in French, English, German, Spanish, Italian, Dutch and Russian. Built on the left bank of the Cher, the castle is made of two towers situated at the northern entrance: one houses a chapel and the other one, a fruit room. The main building, located on the east wing, overlooks the garden and the courtyard. At the northwest, a seigniorial dovecote with its rotating ladder in working order, completes the whole. A hunting lodge and the servants’ quarters, that mark the southern and western limits of the courtyard, are dated early XVIth century. On the quarters ground floor, the stables could welcome up to 7 stables horses; the wine warehouse has been operating for 250 years. After visiting the wine warehouses and hearing explanations about the wine making process of white, red and rosé wines, you will discover traditional vine, wine and champagne-method tools. In our projection room, discover a 1937 film about the ancient Cooperage. To end your visit, enjoy the wines of the estate. 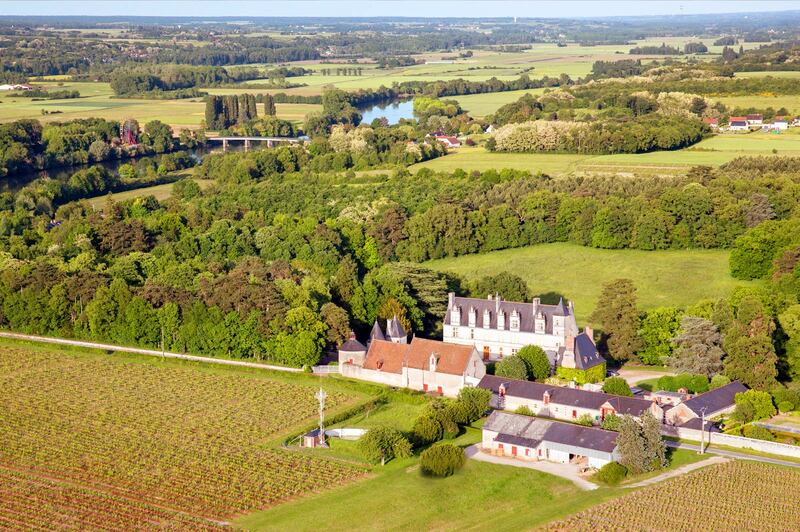 The château de Nitray is referenced in the Hachette guide of wines and is proud to be qualified for the “vignoble et découverte” and “caves touristiques” labels. To exit the estate and discover the Cher valley, Nitray’s old mill, lock or needle weir. 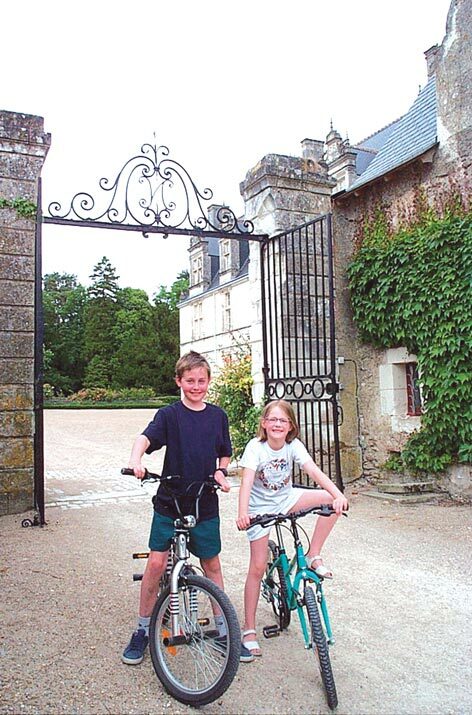 Get on our bike for a 1-hour journey more or less to discover one of the most beautiful trails in Touraine. Located in the town of Saint-Martin-le-Beau. Built in the XIVth century, it belonged to the seignory of Nitray. In the XIXth century, a files manufacturer used the mill to draw the steel. Private property and erected on a small island, the building has recently been restored and has been equipped with a new waterwheel. 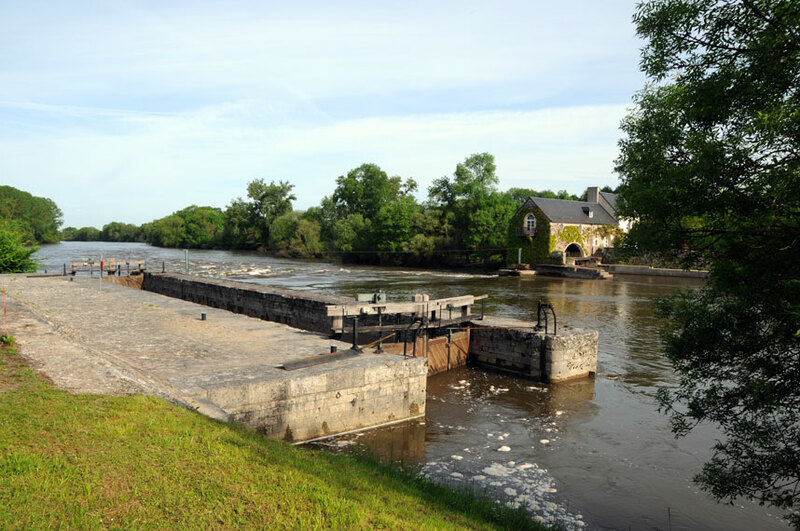 Created in 1841, the site includes a mobile needle weir, a spillway, a chamber lock, a lock house originally composed of two dwellings. The weir consists of retractable wooden beams and may raise the water level to make the river navigable throughout the year. The chamber lock is closed with hooked wooden outrigger gates.. 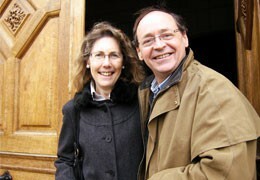 This is the motto of Earl and Countess of l’Espinay, owners of the Château de Nitray, who are opening their doors. From June 1st to September 30th: daily from 9am to 12pm and from 14pm to 18pm, except Sunday morning. From October 1st to May 31st: for groups only by appointment. *Loan of bicycles, wine tasting and films projection included.